Technology always astonishes me for something better and beautiful, which goes a little beyond the imagination of a commoner. Having said that technology has helped us conquering our imaginary world, would not be wrong at all, where all the much needed aspects of the dream suddenly get a platform to be so real to be true. We all prefer a long range of comforts being offered to us from every angle, and want to access the every feature of our need to be at our fingertips. 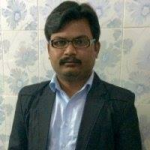 My job role as a CTO with the top mobile app development company – Techugo, makes me deal with the technology at every single minute and I love to explore the every possible upcoming technology, to keep myself well-fed with the innovation and creativity. During my career span, I have noticed and observed that technology has developed and got advanced to make our lives much better and more convenient. The mobile app technology has made the compact piece of gadget in our hands, handling our day-to-day lives with an ease. Mobile devices today are not just sufficed to make phone calls, but are expanded to every imaginary purpose, it can serve to us. The mobile app technology has touched and embraced every business sector and offers brand building, value to your customers, customer relationship, boost revenue and most importantly, make your business available to every corner of the world with no restriction of time and region zone. With the ongoing trend of technology, every single field is happily invaded by technology and has transformed our mobile phones into our assistant, banks, entertainment guide, and every possible aspect to make our life more comfortable and convenient. Payment through mobile apps is also one of the top-notch origins of mobile app technology, where you don’t need to depend on cash, cheque or standing in queues to get the services you need. With a simple tap on your phone, you can pay for a movie, bills, recharge, shopping and many more other things which need the monetary exchange. The payment mobile app has numerous benefits for both consumers and businesses. It is indeed a convenient and secured system to access the services without wasting any extra effort, you only require a Smartphone, with internet connection and here you go to make the deal come true. Today we shall discuss the mobile payment option through Gmail, are you curious to know how? To solve the riddle, let’s go ahead and explore it further. Google Wallet is a peer-to-peer service developed by Google, so the users can receive and share money with zero cost involved from either end. Google wallet has not been introduced to India yet but on Tuesday, Google made an interesting announcement where users from USA can request and send money via Gmail with no transaction fee charged. As the name suggests this feature is related to money to be sent via Gmail and for the Android users in USA only. Though the Google wallet integration in Gmail for web was already introduced to the users, but due to unavailability of Google wallet in India yet, has restricted the functionality to US only. The ability that was first only available on the Web has now arrived on the Android app as well. 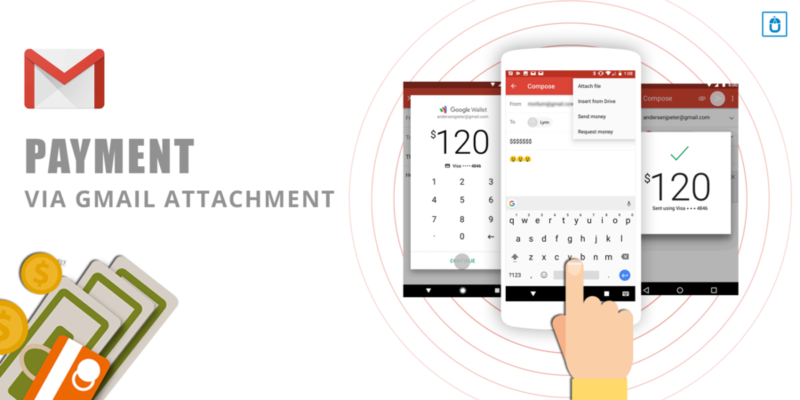 With this unique and interesting feature, user can simply tap on the Attachment button on the Gmail Android app, and simply click on the Send Money option and here money is transferred using the Google Wallet. The refilling of Google wallet can be done easily through debit/credit cards. The users can insert the required amount along with an optional memo and send it across like a normal email. The top feature for this new system is that the received amount can be directly credited to receiver’s bank account without any transaction fee charged. Also, to receive the payment receiver does not require installing any further payment app. Google is a top search engine and its popularity is not unknown to any, so the introduction of the Google payment feature would give tight competition to other payment mobile apps. Due to upsurge in the demand of mobile apps, the mobile payment apps are enjoyed and yearned for at a higher number. If you are willing to know what all features make a successful mobile payment app then you can take a look at our blog : WHAT MAKES A SUCCESSFUL WALLET APP , which would give you precise information on how to make a successful mobile payment app or if you are looking for a payment mobile app or wallet app developed then Techugo is indeed the right choice for you, since we at Techugo, take pride in developing the mobile apps for the leading brands to startups and our mobile app development team has the expertise to create a unique variety of mobile app solution for your business needs, which would help you to showcase your idea, goal and dream in the most informative and engaging way. Our team of top mobile app designers is here to help assist you with every step of your mobile app development strategy. We consult, brainstorm, manage the project, design, develop, test, launch, and market apps in the best possible way.